Park City native Sarah Hendrickson, the first woman ever to ski jump in the Olympics, has to play her cards carefully this season. She lost funding from U.S. Ski and Snowboard after failing to secure the necessary two top-five finishes on the 2016-2017 World Cup Circuit. She said she is relying on funding from private sponsors, her own savings and her parents to pay for the cost of food, lodging, equipment and travel for the upcoming International Federation of Skiing World Cup season and the Olympics. Already managing a recovery from knee surgery in 2015, the 23-year-old said the handling her own travel and board makes competing more complicated. She still has a long road to go before the Olympics. First, she must qualify over the course of 10 upcoming World Cup competitions. Importantly, she must focus on finding motivation to compete after having two serious knee injuries – to which she attributes her lower performances last season. 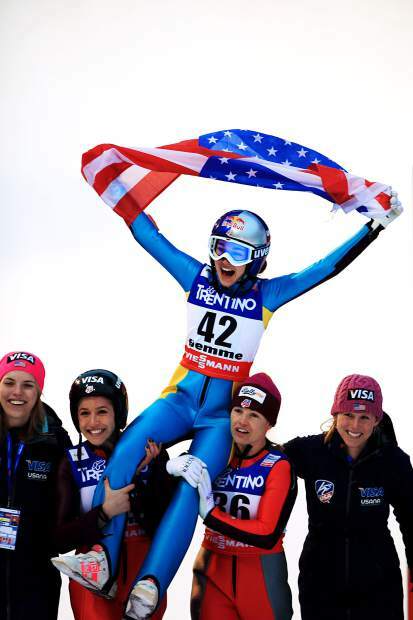 Hendrickson is still the top female U.S. ski jumper, finishing 14th in the World Cup last season — two positions above Michigan-born Nita Englund. And while she said the funding system isn’t necessarily fair, she understands the constraints put on U.S. Ski and Snowboard by having to raise their own money, instead of being funded through the government like other national teams. And she isn’t the only one feeling the cash crunch. Hendrickson said underfunding affects the whole sport — from a dearth of American ski jumping clubs to a lack of prize money at U.S. events sufficient enough to draw new jumpers into the sport. Hendrickson said the sport is not growing as fast as she would like to see it in the U.S., but said she was not surprised given the scant infrastructure and funding for the sport. Barring good results in the upcoming season, Hendrickson said she is considering a career in medicine, such as physical therapy or surgery. For now, she is focusing on maintaining her love for ski jumping, and trying to get her funding back. She said though her injuries have been tough to recover from, they have also helped fuel her for the upcoming season. “As a competitive person I miss that feeling when I’m sitting at home on the couch, and thrive off of being tested and being challenged,” she said.